I have classics for you and hugely popular books that either already are or will soon be on the screens. These days, I don’t actually have an Audible subscription anymore. I have Kindle Unlimited paired with the Audible Romance Package. 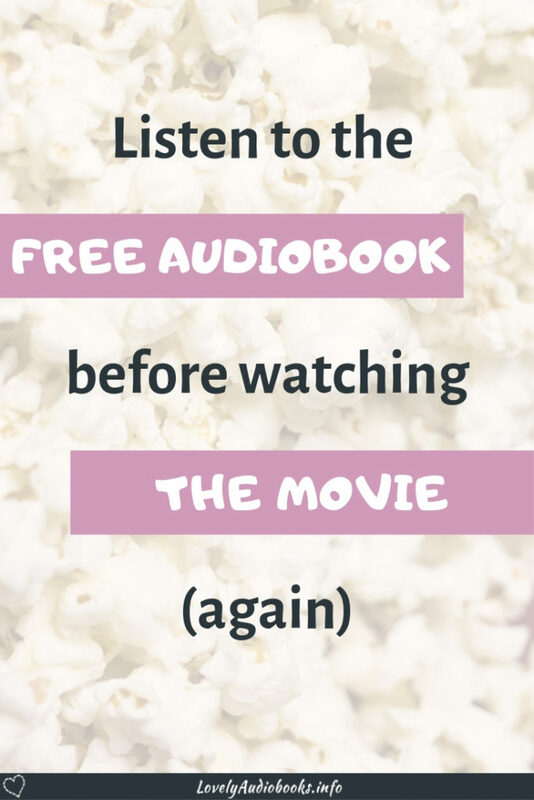 If an audiobook I want isn’t free with the subscriptions, it most often has a Whispersync deal. So I still pay less than I would for an Audible credit and less than the $9.99 that I would pay for audiobooks on Audible with a membership. I wrote a how-to on all the ways you can get free or cheap audiobooks with Kindle Unlimited. And today, I want to show you some of the gems you can listen to for free! I wonder if you’ll be as surprised as I was that these famous bestsellers are in Kindle Unlimited. I bet you’ve heard of this one! And if you’ve watched the movies but never had the time to read the books, just grab the audiobook for part 1 through KU. The narration is done by Rob Inglis and absolutely amazing! I love listening to his warm voice. This is an unabridged version, meaning it’s really the entire book. Did you read the books yet? Yeah, me neither. 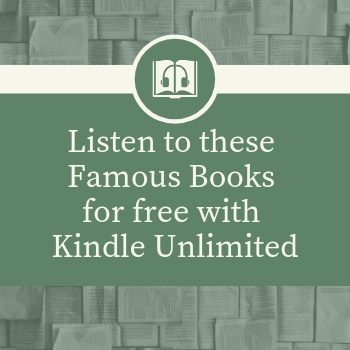 But fortunately, we can listen to them for free in Kindle Unlimited. And if you’re a true fan, this is very interesting for you too. The books in Kindle Unlimited are special editions with lots of bonus material. Audible reviews indicate that some listeners aren’t entirely happy with the choice of narrator. But personally, I find Carolyn McCormick’s voice fits the book and the atmospheric feeling I got from the movies. The audiobooks for the entire trilogy are free with Kindle Unlimited. This Historical Fiction only came out 2 years ago and has an absolutely crazy 5-star rating on Amazon with 24,600 reviews! It also received a bunch of positive attention of Goodreads and it’s not surprising that this gem is currently turned into a big TV movie with Tom Holland. Will Damron’s voice is wonderfully warm and he brings the story to life. This classic has an all new audiobook, released in 2018. J.D. Jackson’s narration is absolutely fantastic. His audiobook is currently a bit hard to find and is not listed on the book’s Amazon page. They seem to have too many editions of this ebook and audiobook so it’s all rather messy. But if you click “Read and Listen for Free” you receive the audiobook narrated by this wonderful voice actor. This self-published gem took off like crazy in Kindle Unlimited, resulting in 3 million sold copies and a movie deal. The narration of this Sci-Fi Thriller is done by Stephen Bel Davies who has an awesome storytelling-voice. I could listen to him forever. If you want to take a look at my personal favorites, check out my Fantasy and Romance recommendations for free audiobooks in Kindle Unlimited.